On Emil Amok’s Takeout, I corner Randall Park at the gala dinner of the Asian Pacific American Institute for Congressional Studies (APAICS). a/k/a Asian Prom. 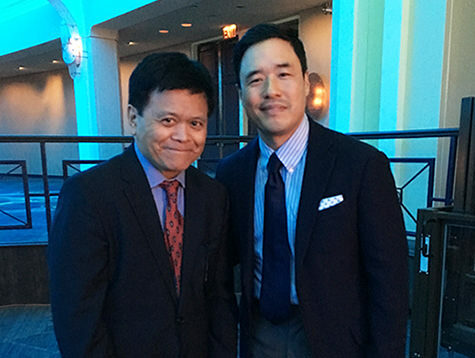 Listen to my short conversation with the “Fresh Off the Boat” star, as well as an excerpt from his speech accepting the 2017 APAICS Vision Award. As I flew into D.C., I noticed at the airport magazine racks the conservative National Review trying to make the case for a presidential bid by “The Rock”–a Republican. 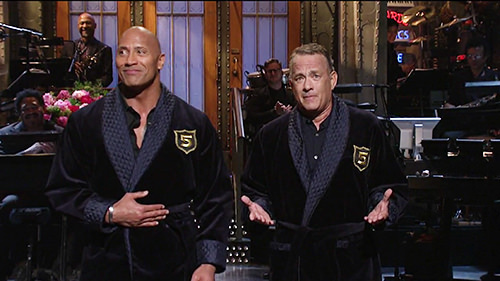 Dwayne Johnson hosted the season finale of “Saturday Night Live” this past weekend, and was joined by Tom Hanks. Hanks said if they ran as a ticket, he’d “get them the senior vote because he fought in WWII–in ten different movies. It sounds like a joke, but given the rise of a reality show star to the presidency and the immense popularity of Johnson and Hanks, you never know. 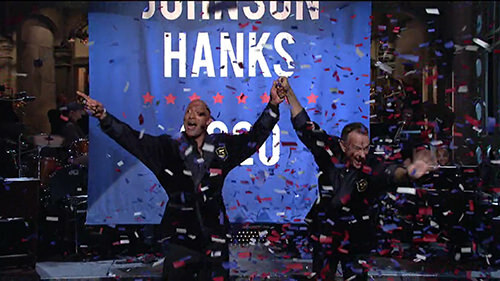 Considering that The Rock and Hanks seem like stable personalities with decent vocabularies, anything would be an improvement over the present White House occupant. All that, plus the places I spoke and what I encountered, and “Fresh Off the Boat” star Randall Park, on this week’s podcast, Emil Amok’s Takeout.